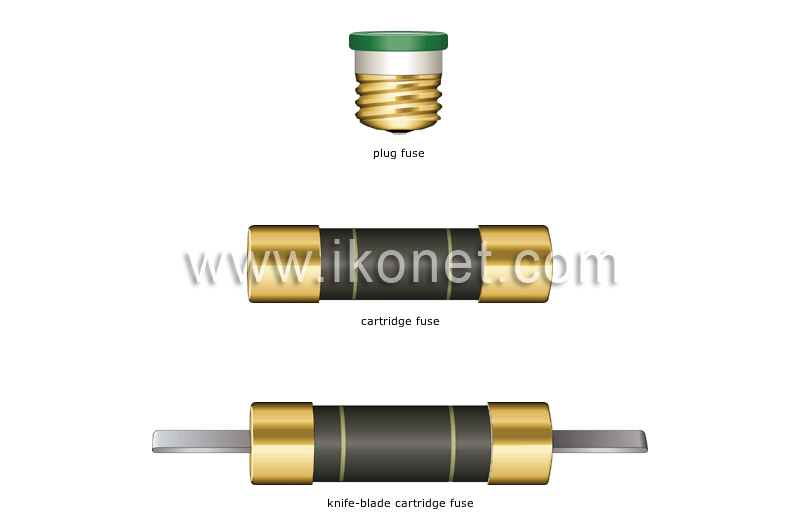 Fuses: electric connection devices devised for interrupting the current in the event of electric overload by melting one of its components. Having a capacity of 60 to 600 amperes, it protects the main electric circuit. Having a maximum capacity of 30 amperes, it screws in like a lightbulb and protects a circuit of 120 volts. Having a maximum capacity of 60 amperes, it protects a circuit of 240 volts.